CAPRIMOND (Karon/Mackensen/Herzbube) out of a De Niro/Kennedy dam. 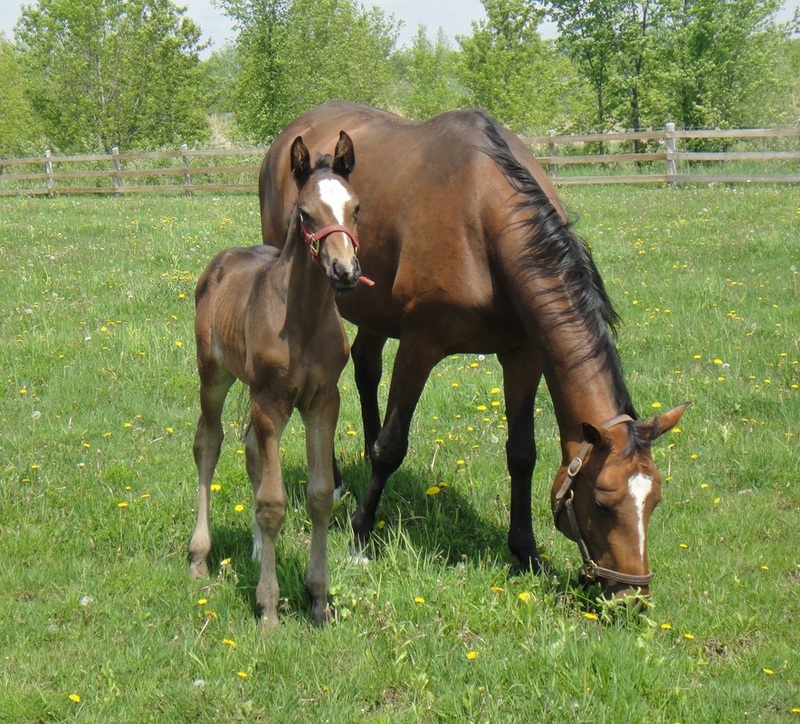 She is a 2003 light bay mare, 15'3"hh. the dressage and jumper rings. Fürst Romancier in April 2011 and a full brother in April 2013. EH Caprimond, 1998 Trakehner Stallion of the Year, is an exceptional stallion with a stellar career as both a performance horse, and a sire. His pedigree is outstanding, not only through the male side, which contains phenomenal stallions like Arogno, Flaneur, Ibikus, Mackensen, and Herzbube, but also through his grandmother, Coeur-As, a full sister to Uwe Sauer's Grand Prix horse, Caro Bube. Caprimond was reserve champion of his keuring, champion of his stallion test and reserve winner of the Bundeschampionat for three year old riding horses. After Caprimond's Championship at the Adelheidsdorf test in 1988, he began his dressage career, and was very successful at the "S" level by seven years of age. In 1996 he achieved the first of several Grand Prix wins. The Elite Caprimond is valued for siring talented, rideable offspring with beautiful heads and necks, and may be considered as a type useful for refinement. He is ranked the number one sire of "type" for Hanoverian mares, a typical Trakehner "improver." Of Caprimond's twelve approved sons, Hohenstein has also risen to be one of the most sought after stallions in Germany, and was 2002 Trakener Stallion of the Year. Other sons have also earned top marks at stallion performance tests, demonstrating the rideability and trainability of their sire's dominant dressage genetics. 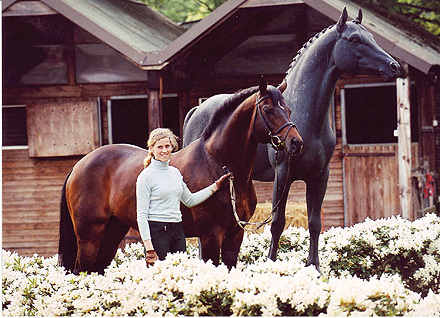 Caprimond's daughter's include Donaumaerchen II, best three-year-old mare at the Federal mare show in Warendorf in 1994. The success of Donaumaerchen I and II as broodmares, has secured Caprimond a special position in breeding, with a top breeder's value of 138 points.